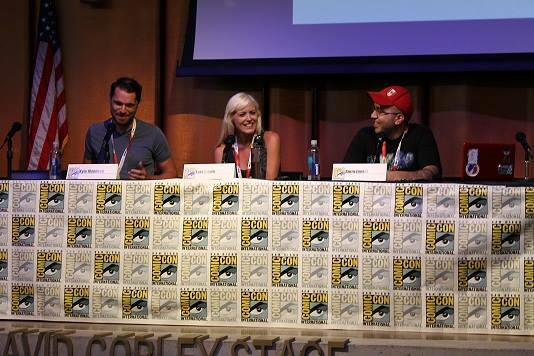 Episode 180 for the week of July 12th, 2015, in which we do a recap of our time at San Diego Comic Con 2015. We are joined by Tara Lynne of the Geekiary and Ice and Fire Con. 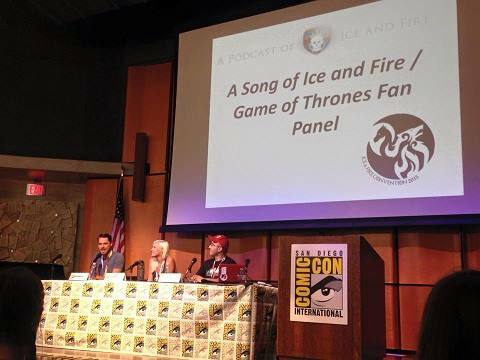 At the end of the episode (41 minutes in), we have the full audio recording of our Ice and Fire / Game of Thrones fan panel at Comic Con. Notes: The panel discussion contains spoilers for all seasons of Game of Thrones and all published books of A Song of Ice and Fire. Some of the questions in the audience were not audible in the panel record file, so have been trimmed somewhat, with enough left in to indicate that there was a question or audience participation at that point. 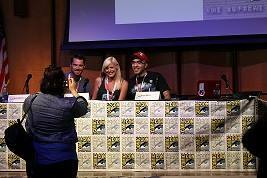 The audio recording is reproduced with the permission of Comic Con International and all the panelists involved. Congrats on the success of the panel. Jealous of House Manwoody West. Hope you have Tara on for another episode to talk about Ice and Fire Con 16 when tickets go no sale. Very fun listen and it was great to hear Tara on the podcast again. I really enjoyed listening to the panel and getting some speculation, theorizing, and opinions in that format. I hope you guys are able to record and release more of that kind of content as it happens. Great recap and panel! I love Kyle’s idea of Howland Reed being locked away at Greywater Watch because he doesn’t trust himself to keep a secret. Also Mimi’s apathetic “cool….” was priceless. Great episode! Glad to hear House Manwoody is getting more and more legit. 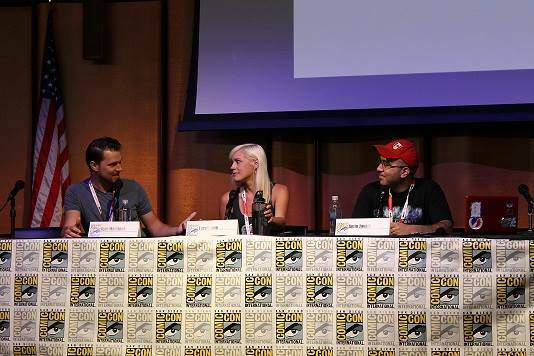 I loved the laidback feeling of the panel discussion too. ara on the podcast again. I really enjoyed listening to the panel and getting some speculation, theorizing, and opinions in that format. I hope you guys are able to record and release more of that kind of content as it happens. You are listening to A Podcast of Ice and Fire, the award-winning, longest-running podcast dedicated to the epic glory of George R.R. Martin's A Song of Ice and Fire saga. And sometimes Pokemon. We are the Brotherhood Without Manners, the heirs to House Manwoody of Kingsgrave, Dorne, and your audible source for everything in the world of A Song Of Ice and Fire, as well as HBO's Game of Thrones series. Our podcast is a ridiculous, fun amalgamation of series news, theories, discussion, opinions, and lowbrow humor. Listen in, and join the cult. Warning: Episodes contain spoilers for all published ASOIAF books, explicit content on par with the series content, and constant references to creaking doors. Awesome ASOIAF-related websites we use and love. Tower of the Hand - The unofficial website companion to the series, for all your referencing needs and re-read refreshers. We like to pretend they sponsor us. Westeros - Series information, news updates, and the best ASOIAF forums for geeking out. Watchers on the Wall - All you've ever wanted to know about HBO's Game of Thrones series in one comprehensive blog. George R.R. Martin Our favorite author's official website. Not a Blog - George R.R. Martin's personal non-blog for football and sci-fi glee. Bastards of Kingsgrave - APOIAF's illegitimate offspring, for geek talk beyond Westeros. Vassals of Kingsgrave - A podcast created and hosted by APOIAF listeners.